I much prefer doing caverns/dungeons. 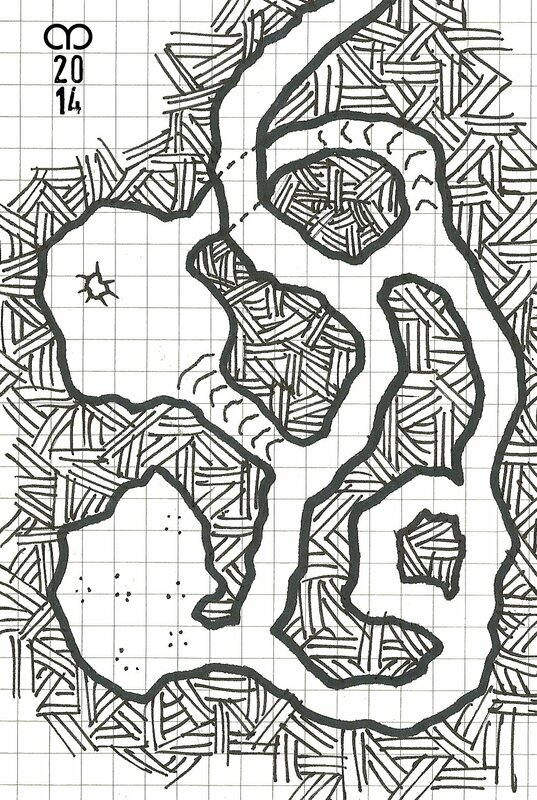 This particular map only took me ten minutes – and most of that was the hatching! True, it’s not a very detailed map, but I am drawing in my A6 Moleskin Squared Journal so I don’t have that much space to play with.